In recognition and support of the National "Do Not Call" registry, we would respectfully appreciate your assistance in completing this form. 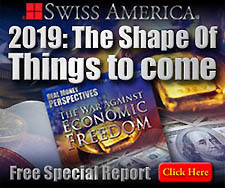 This will enable Swiss America and its representatives to contact you with any changing news, reports or any other information that may be of value or benefit to you. This does not take you off the National "Do Not Call List"